Ashley intended this tiny necktie sandwiches to be a fun appetizer for Father's Day, but I figure load them up with Dad's favorite sandwich fixings and call it Father's Day lunch! 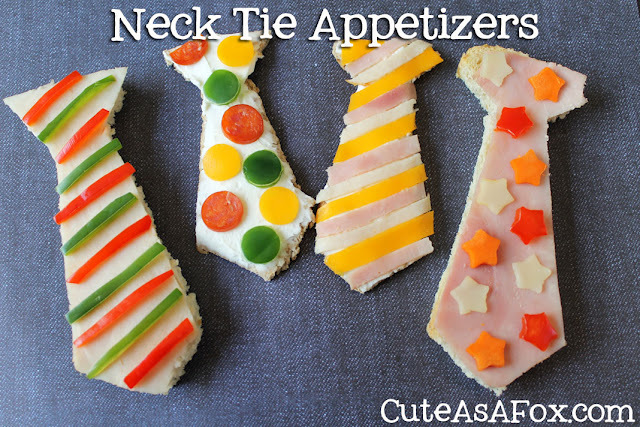 You can get the templates to create you own necktie appetizers over at Cute As A Fox. 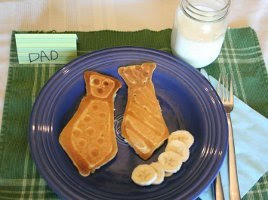 You can even serve him ties for breakfast too, with these fun Father's Day tie pancakes from My Insanity.